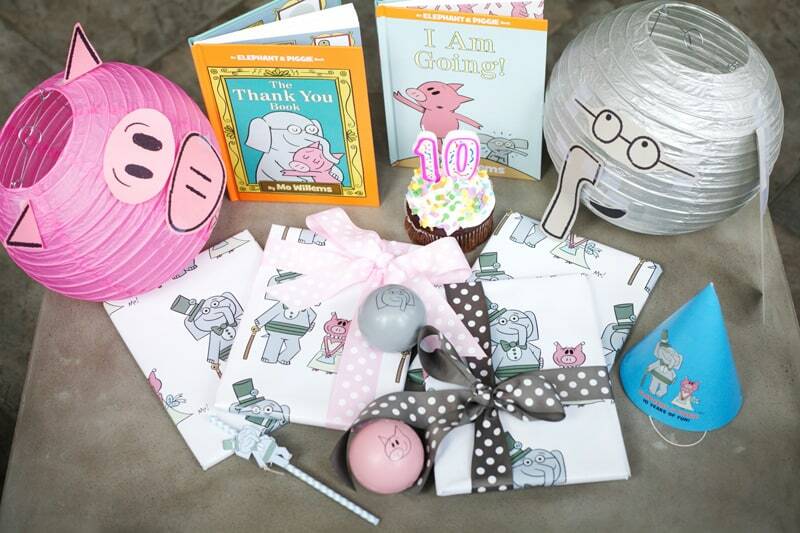 Elephant & Piggie have been a huge part of my 3 kiddos lives ever since Jaime gave Clare My Friend Is Sad by Mo Willems for her 1st birthday. When Disney-Hyperion asked us to help them celebrate double-digits with a sponsored party for a few of our favorite characters, we said OF COURSE! 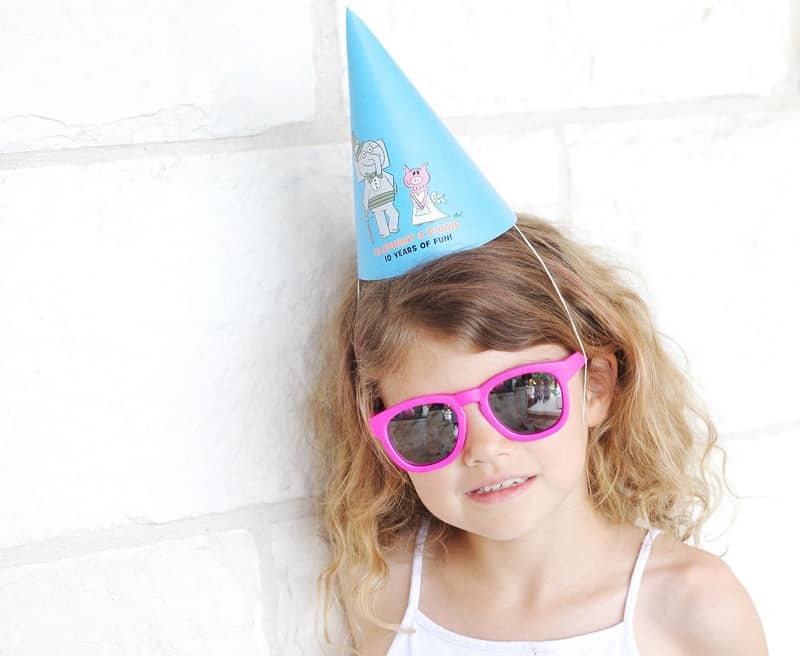 I wasn’t sure if Clare would be into an Elephant & Piggie party, she is after all turning 10 herself in just a few weeks but she was totally on board with joining in on the fun with some of her first friends. 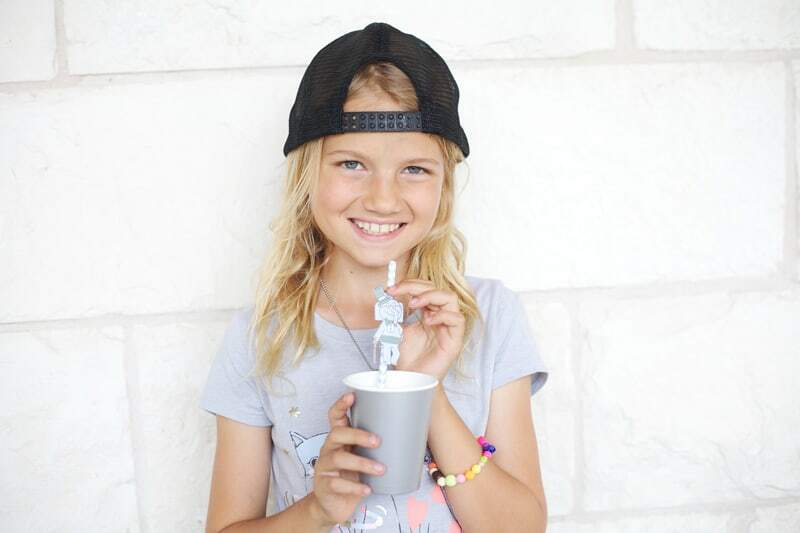 Tweens will keep you guessing like that. 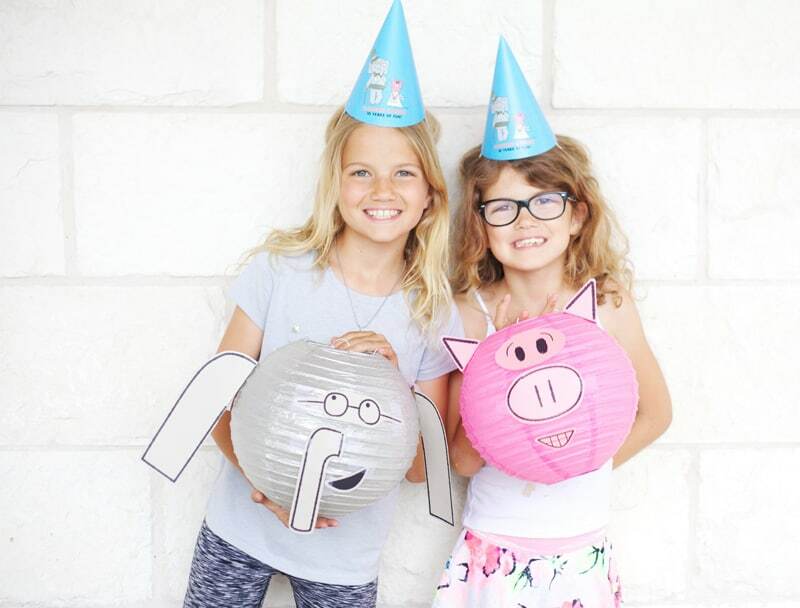 Read on for how to make these adorable DIY Elephant & Piggie Lanterns and the details on the newest book in the Elephant & Piggie Like Reading! 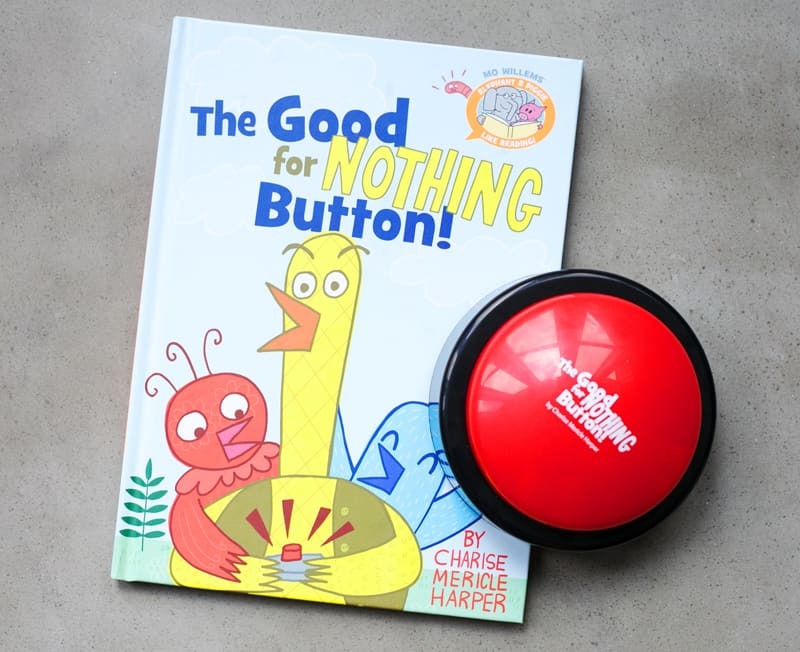 series: The Good For Nothing Button by Charise Mericle Harper. 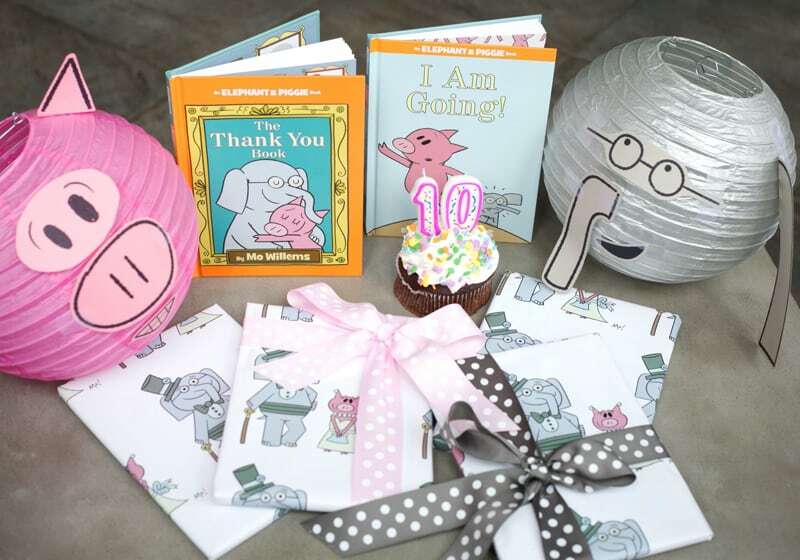 PLUS a top-ten list of our all-time favorite Elephant & Piggie books. 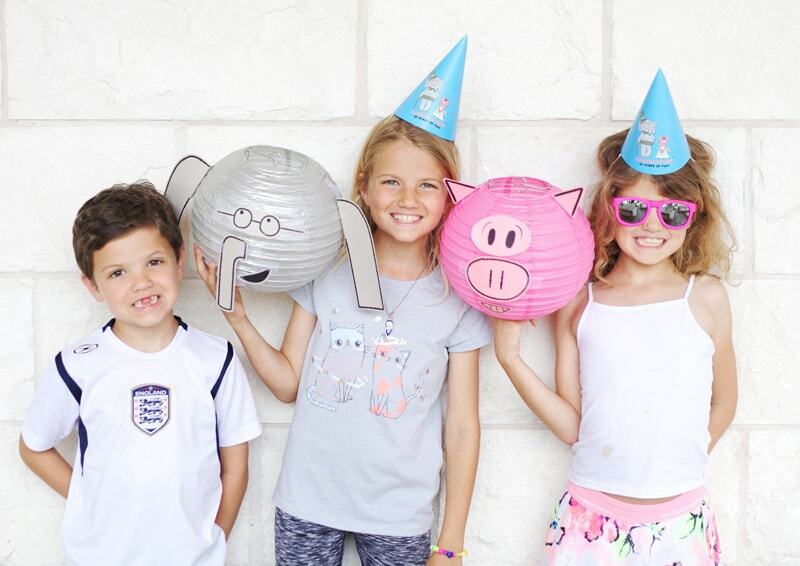 How cute are these DIY Elephant & Piggie paper lanterns? Here are the instructions to make some at home. 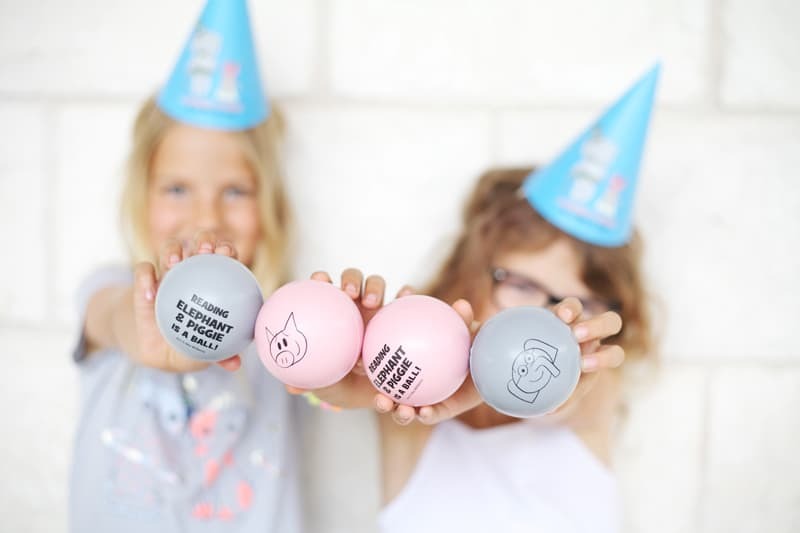 Want to add more fun and games to your Elephant & Piggie Party? 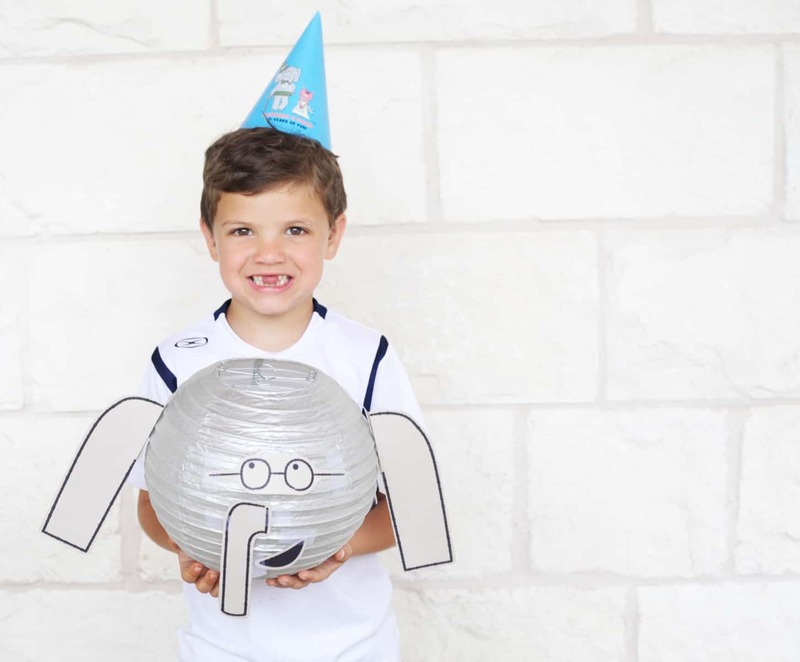 There is an entire amazing Elephant & Piggie Party Guide. 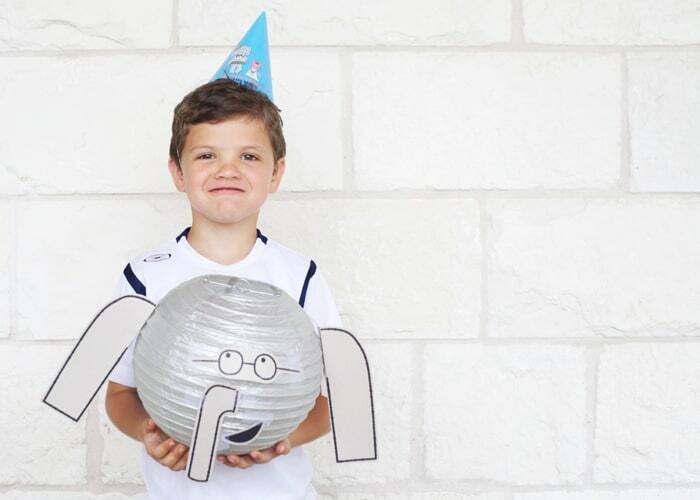 A new beginning-reader series created by Mo Willems! 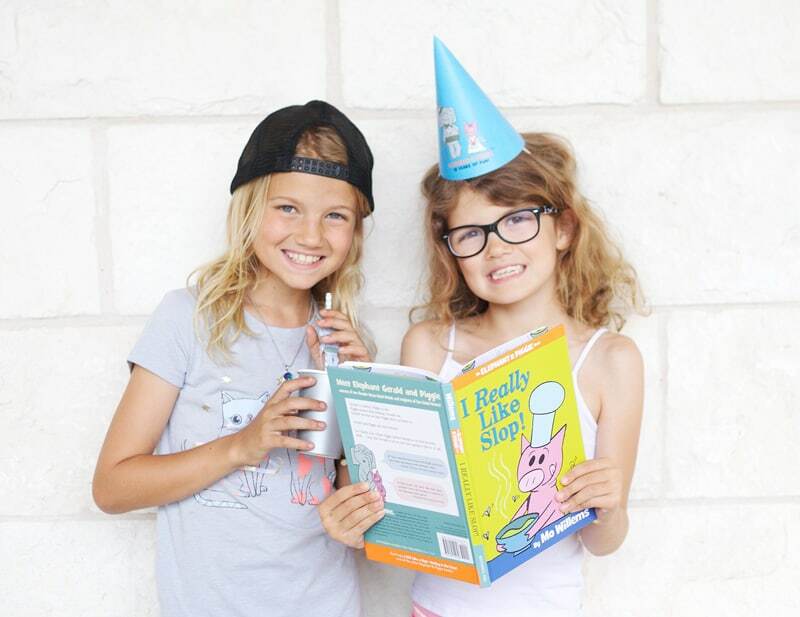 Best friends Elephant and Piggie introduce kids to their favorite books – brought to life in original stories created by contemporary children’s book authors and illustrators. Yellow Bird has a button. It does . . . nothing! 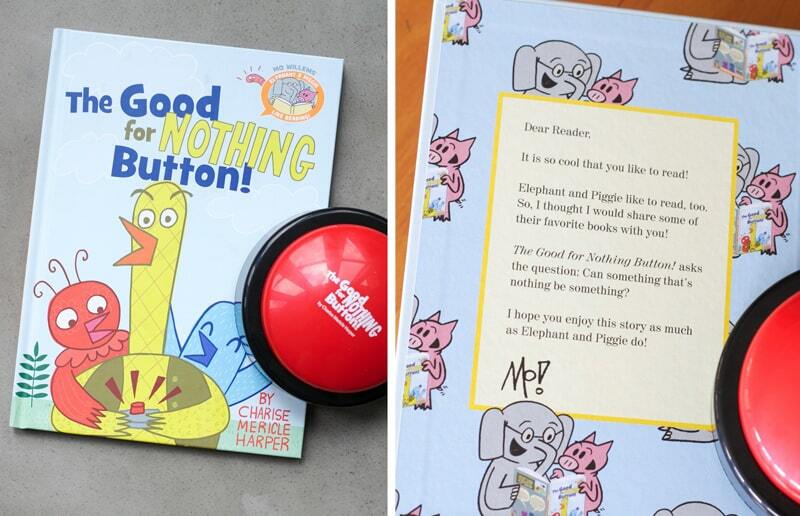 It is a good for nothing button. Red Bird and Blue Bird are excited to try the button. But when they press it, they discover that the button makes them happy. Happy is something! A flabbergasted Yellow Bird insists the button does nothing. But it sure does seem to be making him mad. Mad is something! It’s one of our new favorites and the perfect level for Gordon as he finishes up kindergarten. 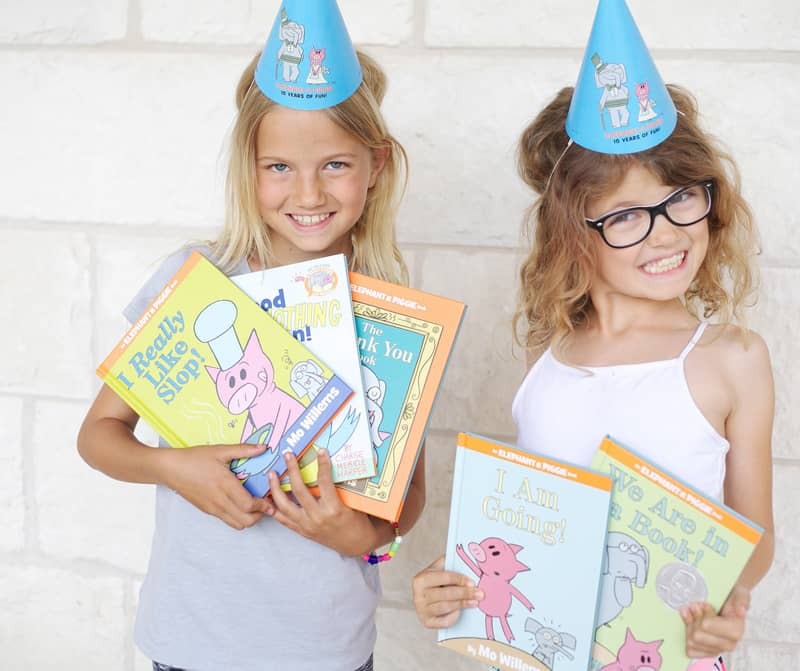 Speaking of favorites, here are our 10 favorite Elephant & Piggie books of all time. What are yours? 10. Let’s Go for a Drive! 7. Are You Ready to Play Outside? 4. My New Friend Is So Fun! 3. I Really Like Slop! 1. There Is a Bird on Your Head! We are excited to have collaborated with Disney-Hyperion to bring you this post and thank them for their generous financial support!